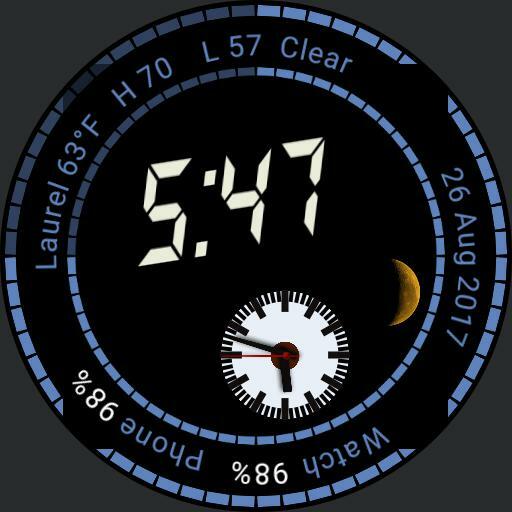 An analog, digital watch face with multiple colour options. Tap digital time= GOOGLE FIT, tap small dial=CALENDAR/AGENDA. For colour schemes tap the "12" spot=SELECT COLOURS, tap "8" spot=PREVIOUS COLOUR, tap "2" Spot=NEXT COLOUR.